Ace Bollywood director Sanjay Leela Bhansali, who often focuses on mental or physical disorders in his movies, says someone has to pay tribute to human suffering. In his new film "Guzaarish", he has dealt with tragedy "the way it was done in 'Anand'". "The constant theme of my films is when things are taken away from you - be it a person, be it love, be it anything - can the attitude towards life still be positive or do people become bitter, negative or senile," Bhansali told IANS in an interview. "Is there anyone who is not suffering or not disturbed by anything? I think someone has to pay tribute to human suffering also," said the director. "Guzaarish" tries to give an insight into people suffering from paraplegia and why such patients sometimes ask for euthanasia, which is yet to be legalised in India. Hrithik Roshan is the patient in the film, while Aishwarya Rai is his nurse. "It's a very unique subject. It has been handled very, very sensitively, specially by the actors and their performances. We have taken care that it's done gently, correctly because it's a very important debate," said the 47-year-old. "It's a debate that's not going to find answers very fast. It would take another few years, but we should start approaching the topic, we should understand why certain sections of people who are suffering in life are asking for it (euthanasia). "It has never been dealt with before in Indian cinema. Of course, there is a lot of entertainment along with it so that it doesn't become a heavy subject. I would say, we tried to do it the way 'Anand' was made." "Anand", a Hrishikesh Mukherjee film, showed Rajesh Khanna as a terminal cancer patient who laughs his way through life - and death. It also starred Amitabh Bachchan. Bhansali has touched different kinds of human suffering in his celluloid creations such as "Khamoshi: The Musical", "Hum Dil De Chuke Sanam", "Black" and "Saawariya" because he feels someone should pay tribute to human suffering. The subject of "Guzaarish" is delicate, therefore Bhansali did extensive research through published facts before shaping up the story. The film is releasing Nov 19. "There were lots of cases that we kept reading, which are pending in court and it (euthanasia) is still not allowed in our country. There are lots of stories that touched our heart. We felt this is very poignant and why it's not been addressed. Then we met quadriplegics, young people who are in their mid 20s. 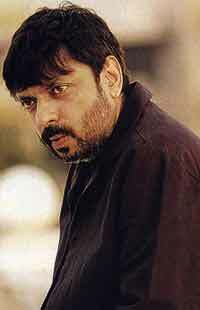 We did a lot of research and then we came down to it," said Bhansali. The director says he worked hard to evoke a debate on the subject through the film without hurting anyone's sentiment. "We worked very hard for one-and-a-half years. We wrote how to make the songs, how to weave in entertainment in the script! This is done with mainstream actors with a mainstream budget for a mainstream audience. It's not an art house cinema. We looked at the matter up and down because we didn't want to hurt any sensibilities. We want to evoke a debate and want the subject to be understood." Bhansali is certain that mainstream cinema can bring about a serious thought more effectively. "Filmmaking for me is not sitting and cracking five jokes and doing some loud item numbers. Our concept of filmmaking in the last one year has become a little strange. I think through mainstream cinema and actors like Hrithik and Aishwarya, we can bring about a thought, an idea, a debate, within which you can entertain people and keep it more comfortable and accessible," said Bhansali. He doesn't want to convey any message through "Guzaarish". "It's not a message, it's a catharsis. There used to be a time when films like 'Bandini', 'Do Bigha Zameen' were made. Where are such films today?"